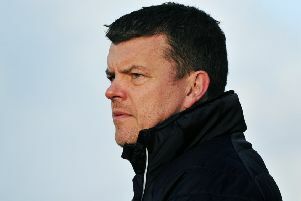 Broxburn coach Stevie Hislop believes the West Lothian side have the necessary experience to maintain their push for the Conference C crown. Saturday’s fine 2-1 home win over St Andrews helped the leaders retain their five-point lead at the top. Hislop, in charge while manager Brian McNaughton was on holiday, was pleased with Broxburn’s performance. Broxburn’s Ross Nimmo pounced in the fourth minute to slam home the opener. Chris Townsley headed home a Nimmo cross in the 20th minute to take the hosts in two up at the break. Cammy Ross missed a penalty in the 48th minute and the visitors took advantage to pull a goal back when Sean Harrison knocked the ball into his own net. St Andrews, though, had Ollie Fleming sent off. Elsewhere, Bonnyrigg fielded a much-changed line-up against Burntisland with this week’s SFA Challenge Cup tie against East Stirlingshire in mind but still ran out 4-1 winners. Louis Swanson opened the scoring and Keith Lough added a double. Aaron Murrell completed the scoring for Bonnyrigg. Tranent racked up a 6-0 win at home to Dunipace with Jamie Devlin hitting a hat-trick. Bradley Barrett opened the Belters’ account with Kayne Paterson scoring and Dean Whitson finishing off. 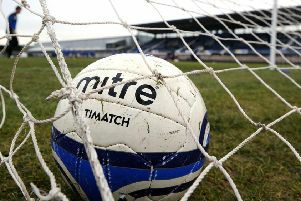 Penicuik beat Leith Athletic 3-0 win to maintain their bid for the Conference A title. Jordan Caddow scored the opener with captain Aaron Somerville adding a second. Penicuik had Callum Connolly sent off for denying an opponent a goalscoring opportunity but Wayne McIntosh grabbed a third. Musselburgh continued their fine form with a 7-0 demolition of Hawick Royal Albert.